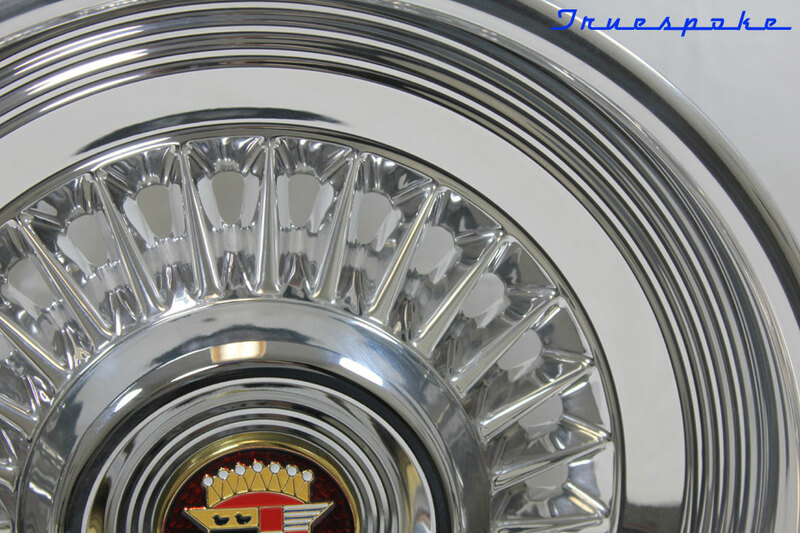 Cadillac style hubcap is included. We can also supply Buick, GM and some Ford caps. 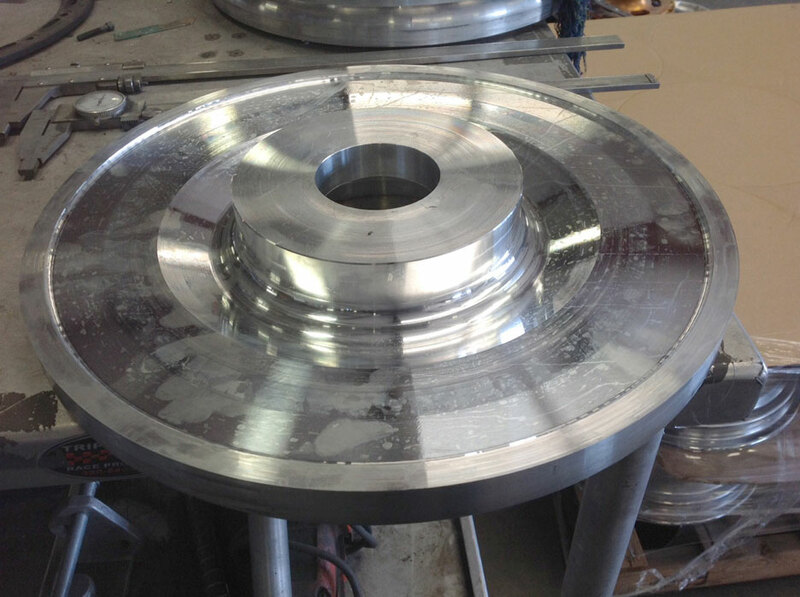 These unique wheels are custom-made to your order from billet aluminum on a CNC lathe. Only show-quality wheels leave our workshop. Please call to discuss your needs. ●Each set is custom built to your order in California. 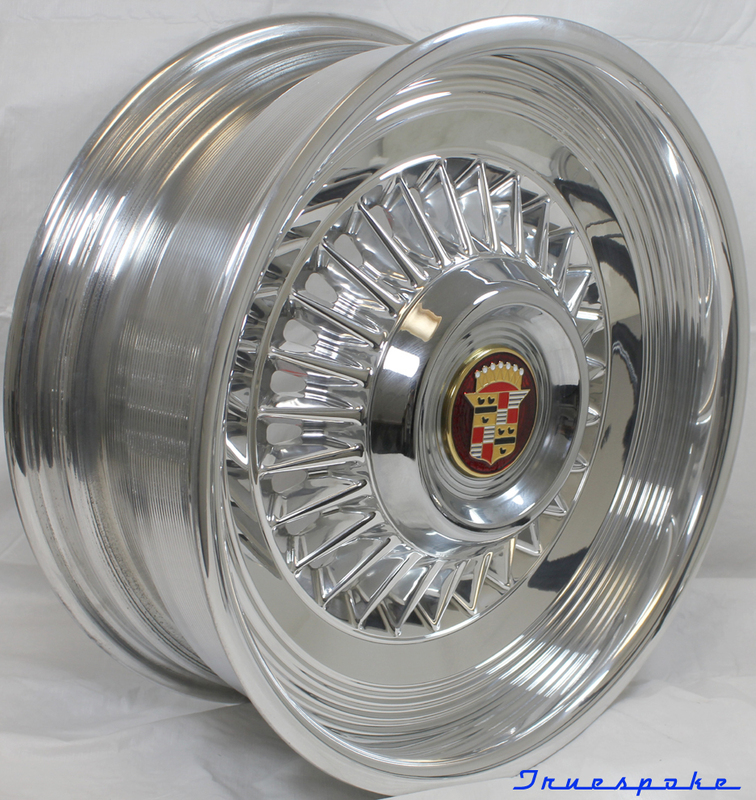 ●Ideal for modified Cadillacs or where the owner has increased the horsepower or performance of their car and seeks a two-piece wheel. ●Limited, custom back-spaces available to accommodate larger disc brake calipers. Please inquire for more information. ●Rear wheel drive only. These wheels will not work on front wheel drive cars. 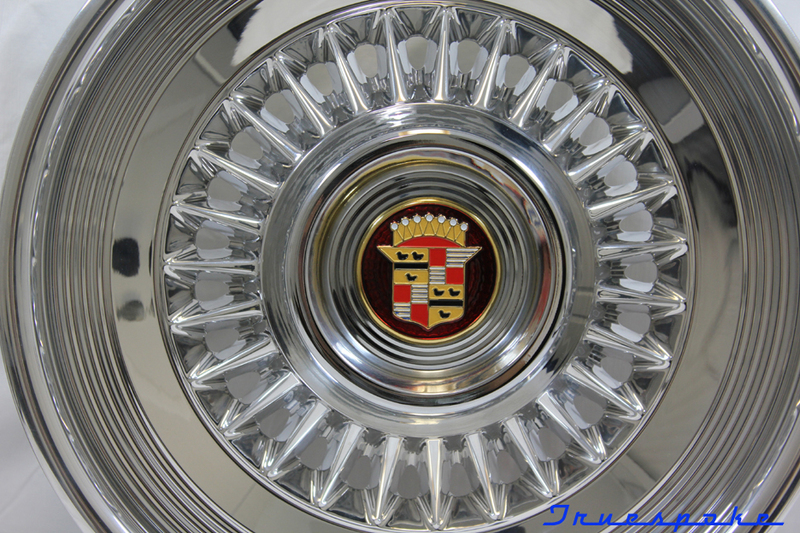 ●Prices shown do not include reverse-style, tires or shipping. 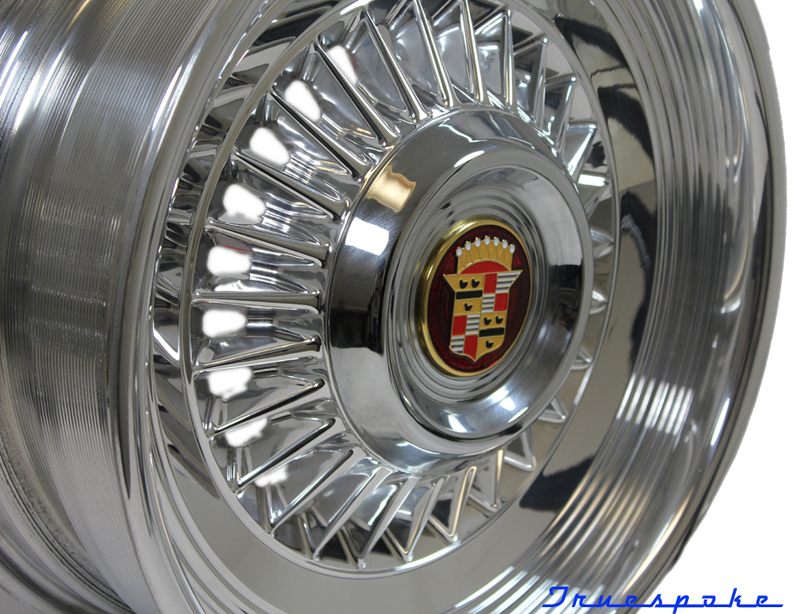 ●Cadillac hubcaps are included in the above prices. 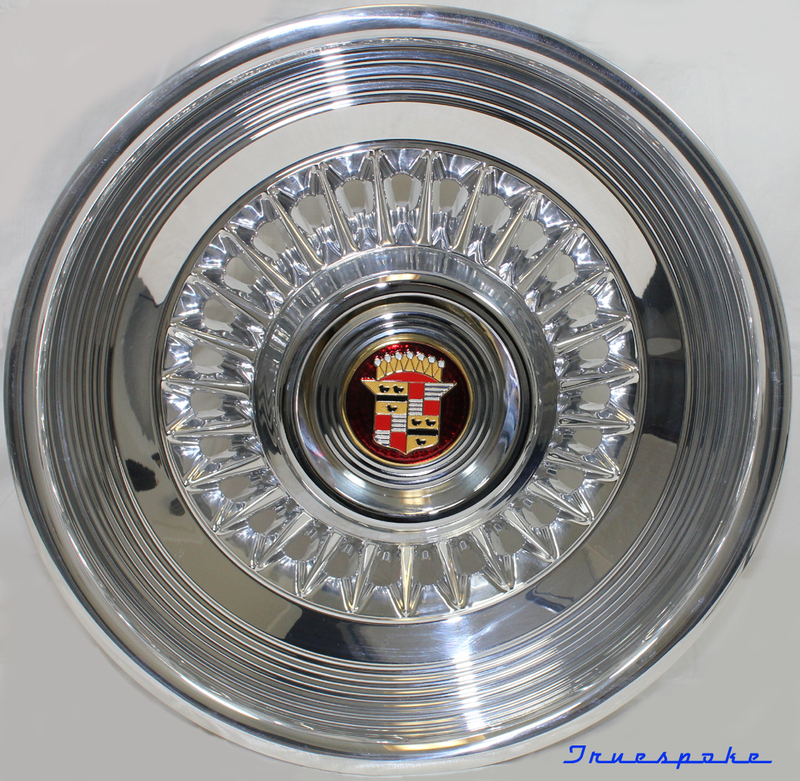 ●We also have Buick, Chevrolet and Ford caps. Please check with us. Each set of wheels are built for your car. The approximate build time is 90 days or more. Please be careful when ordering that the size selected is correct for your car. Please allow us to help you determine the correct diameter, width and backspace. 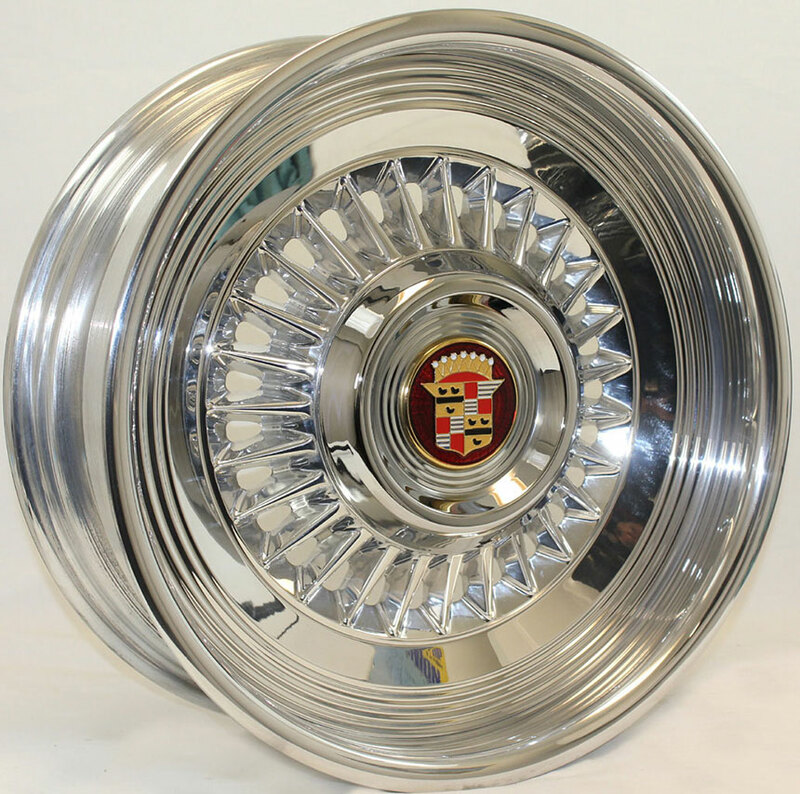 Custom ordered wheels are not returnable. 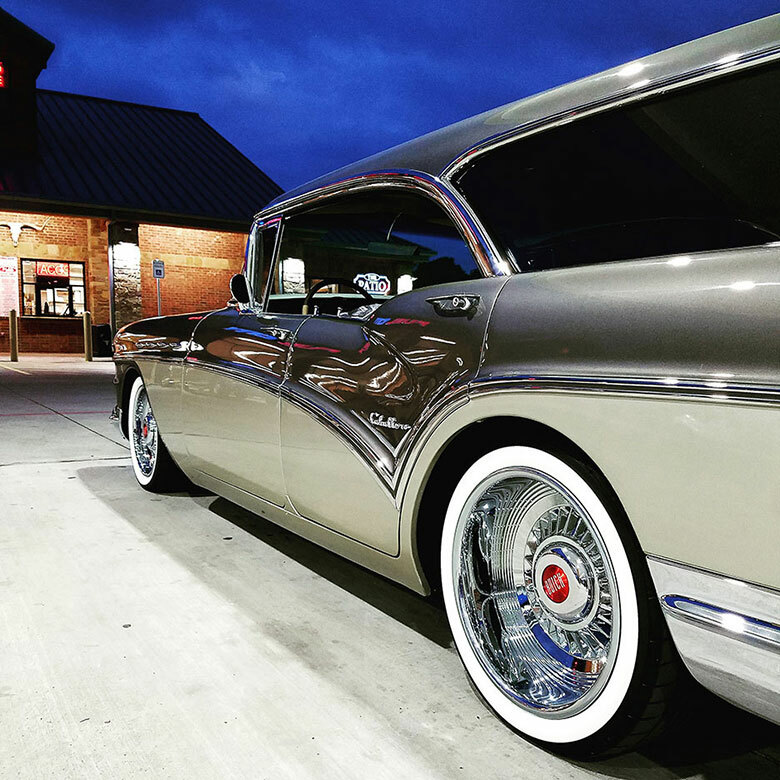 We can supply wheel and tire packages with whitewall or Vogue tires. Just ask us for our package prices. Please click on thumb-nail images for larger photographs. 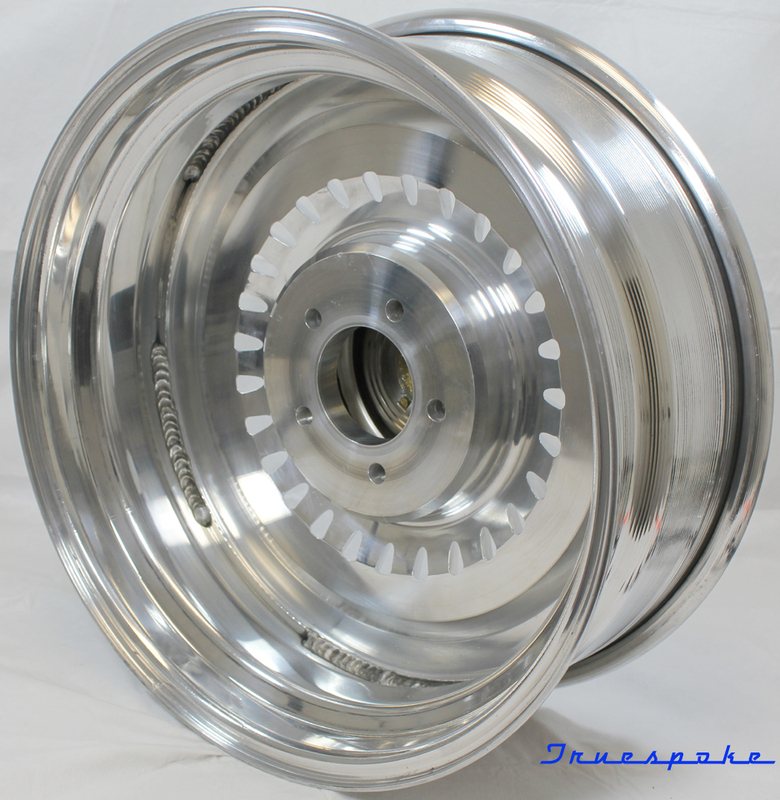 Each wheel center is CNC carved from a solid block of aluminum. 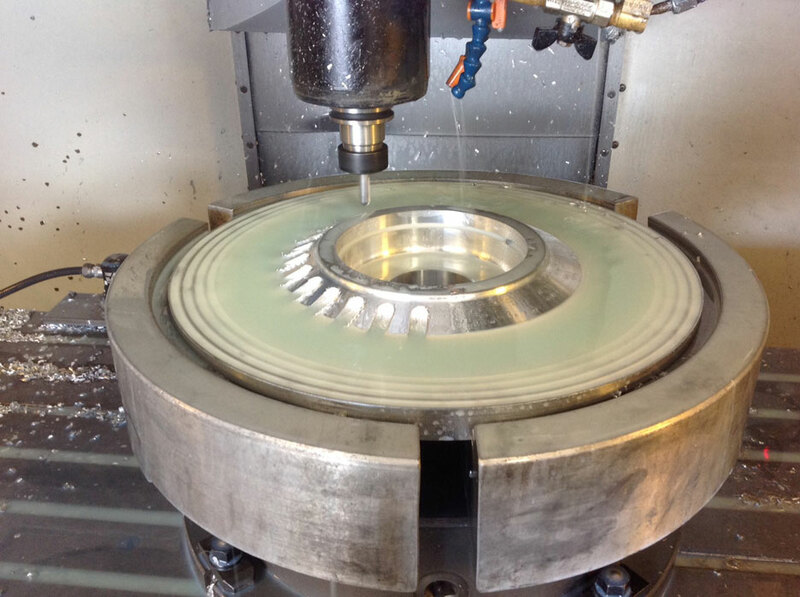 This precision process takes approximately 16 hours of mill work to complete just one wheel center. These wheels are super strong and you won't see them on every corner! 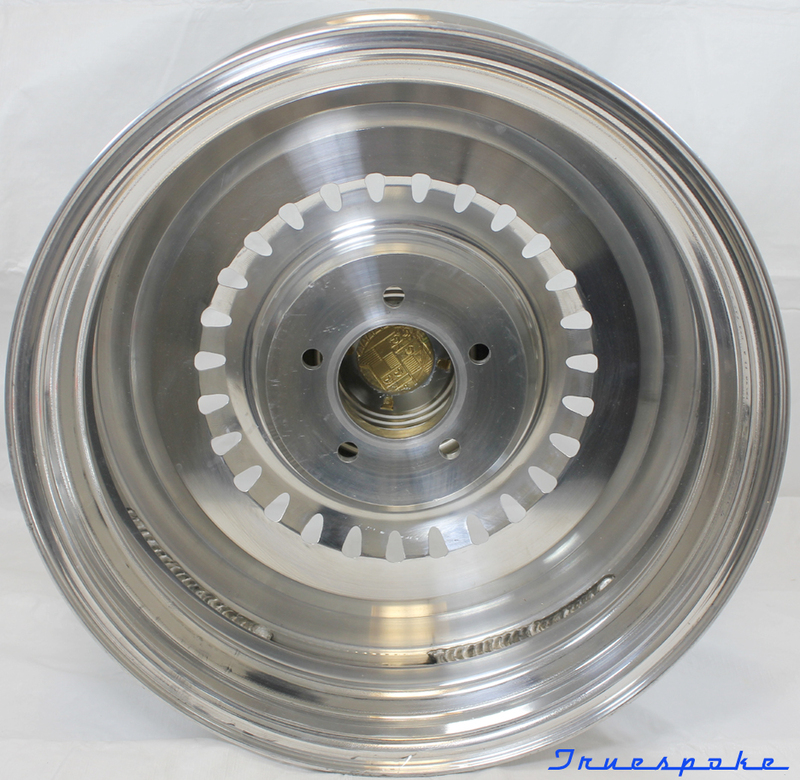 The Sabre wheel can also be fitted with other caps for Buicks, Chevrolets, Fords and MoPar products to name a few.